SNC technicians inspect the Dream Chaser ETA. 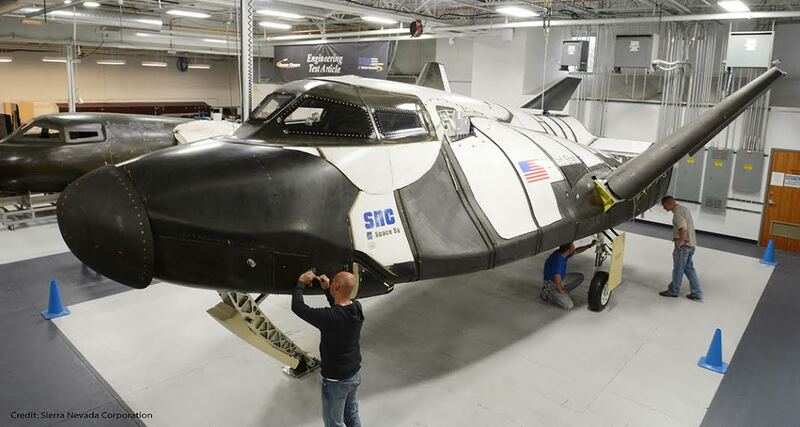 Image Credit: Sierra Nevada Corp.
October 7, 2015 – In anticipation of a second phase of flight testing, Sierra Nevada Corporation’s (SNC) Space Systems has announced significant updates to two Dream Chaser spacecraft currently in development. The spacecraft are the atmospheric engineering test article (ETA) and the advanced composite orbital vehicle, which when tested will undergo a suborbital and orbital flight regimen, respectively. SNC’s Mark Sirangelo provided a program update at the International Symposium for Commercial and Personal Spaceflight (ISPCS) in New Mexico. The complete Dream Chaser orbital cabin assembly manufactured by Lockheed Martin. Image Credit: Sierra Nevada Corp. Since flight test phase one, in which SNC’s Dream Chaser ETA successfully returned trajectory data of the flight profile, SNC has made significant structural and systems improvements to the ETA including the composite wings and aeroshells. SNC also invested heavily in maturing the spacecraft orbital avionics, guidance navigation and control, the flight software, and employed a number of new processes, all of which will be used on the orbital vehicle as well. Finally, the advanced orbital Thermal Protection System (TPS), announced in June, was installed on the ETA skid in order to do advanced testing of the actual orbital TPS in this important area. In parallel to the ETA upgrade, SNC has made significant progress on the build of the first Dream Chaser orbital vehicle manufactured by Lockheed Martin. Lockheed Martin is leveraging best-practices in composite manufacturing from the Skunk Works, its advanced development programs division, as well as its extensive experience in manufacturing and assembly from the F-35 Lightning II. 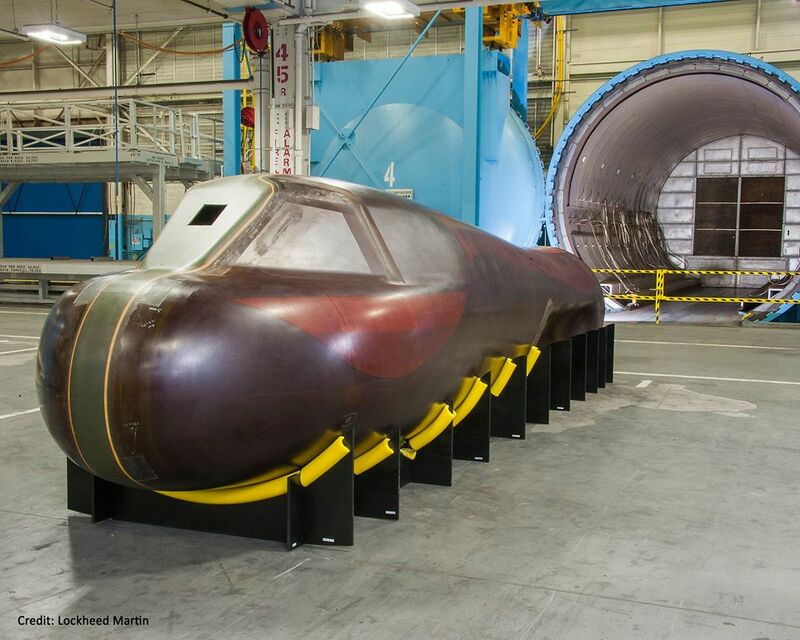 Lockheed Martin recently completed the Dream Chaser orbital cabin assembly, marking a significant milestone in the construction of this vehicle. This assembly is the largest high-temperature unitized structure ever fabricated at U.S. Air Force Plant 4. The assembly utilized three-dimensional woven joints, to integrate internal frames with external carbon skins in a single co-bond operation, meaning nearly all fasteners on this critical cabin assembly are eliminated. This state-of –the-art approach to design and manufacturing is a highly efficient and affordable design solution. “Upon completion, the Dream Chaser orbital vehicle will be the most advanced composite structure ever built. We look forward to Dream Chaser becoming the world leader in this area and to its first orbital flight,” said Sirangelo.